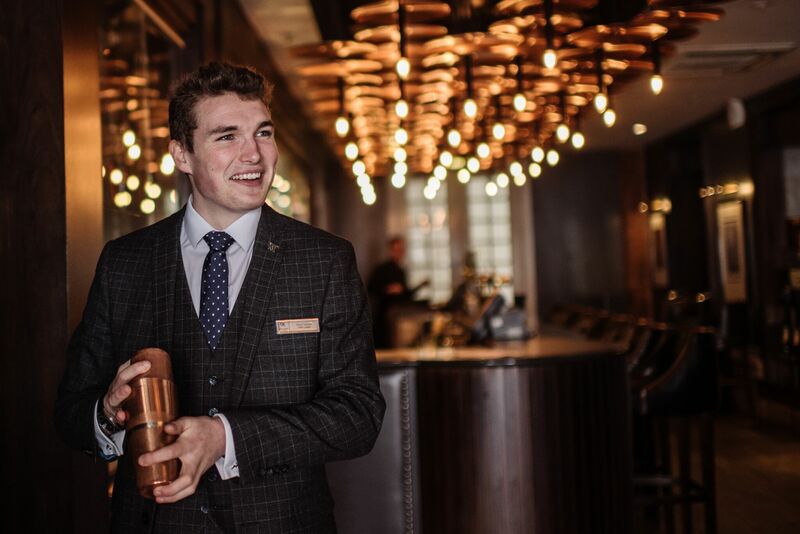 Following the success of the Waldorf Astoria Edinburgh – The Caledonian’s dynamic dining experiences, the hotel will be holding its third Moveable Food evening on Wednesday 12th December. To celebrate the season this themed dining experience will definitely have a festive twist, as guests are taken on a gastronomic tour over four courses and paired wines around each of the hotel’s bars and restaurants. The head chefs across the hotel and Galvin restaurants will be coming together once again to showcase the very best flavours of the Waldorf Astoria Edinburgh. Embark on this journey of discovery with festive themed welcome cocktails in The Caley Bar before moving on to the stunning surrounds of The Pompadour for a starter created by talented Head Chef, Daniel Ashmore. The experience will continue in Galvin Brasserie de Luxe for a further two courses designed by Head Chef, Andrew Logie – Roast Magret duck breast, braised red cabbage, parsnip, sprout tops with cranberry and Madeira jus for the main and, a festive edition exclusive, cheese course served with a glass of port. To finish off the evening on a sweet note, guests will be welcomed into the famous Peacock Alley once the old station concourse of the former Princes Street station, now a luxurious lounge with stunning red sandstone walls and a striking peacock light feature, to enjoy a truly indulgent desert created by Executive Chef, Ryan MacFarlane – a trio of chocolate & cranberry tarts, gingerbread macaroons & mulled wine jello shots. Moveable Food – Festive Edition takes place on Wednesday 12th December at 6.30pm. Costing £65 per person for four courses including paired wines and a welcome cocktail on arrival. Tickets for this exclusive event are limited and can be purchased here.